About four years ago I moved into a new apartment and couldn't wait to decorate the walls. I didn't have a lot of money to spend on home decor so I knew I'd have to get creative and make some art myself. I started with a few pieces of driftwood from my last Big Sur trip that I had been wanting to use for a project, found some fiber art inspiration images online, and went from there! Pretty much all of the skills I've learned along the way have been self taught by trial and error. If we're talking physically messy, I went through a phase about a year or so ago experimenting with botanical dyes to use on my yarn. It took quite a bit of practice to get it down and I still have a lot to learn but I have turmeric stained kitchen utensils that have never recovered! Now that I have an art studio it makes it much easier to organize my time and create a daily routine for balancing making art and running my business. 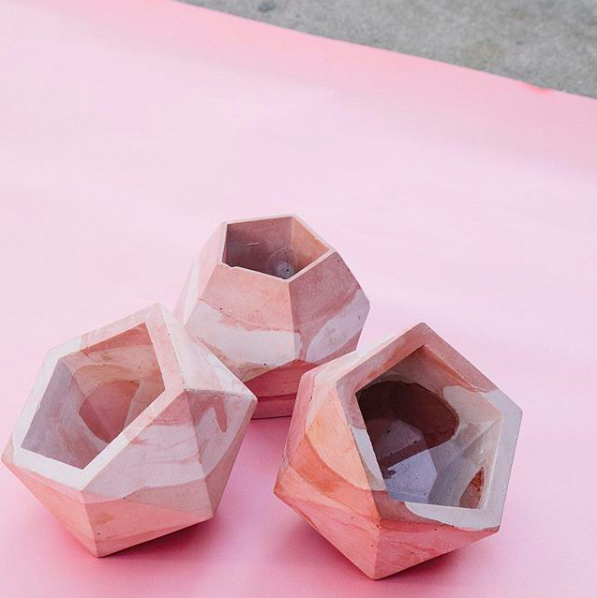 Working from home became difficult because I was constantly surrounded by my unfinished projects and I always felt like I had to be working. Now when I'm at home I can relax and unwind for the day and go in to the studio the next day feeling refreshed and inspired to continue to create. I can't live without a sharp pair of scissors and a wooden yarn wrapper (a creation my boyfriend came up with to make the process of cutting 100-1,000 strands of yarn at a time more efficient). 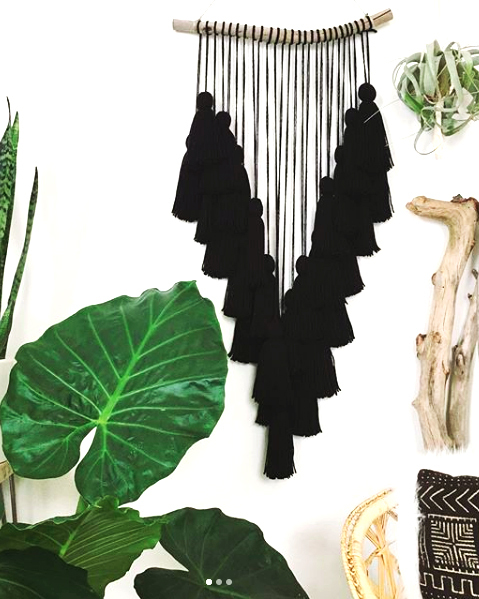 It's essential when I'm making one of my large tassel wall hangings! Lots of coffee for sure! Especially after a long night catching up on projects. It definitely depends on my mood, but right now I'd have to say anything by Rufus Du Sol! Vehicle: Just like my Honda CRV I'm reliable and always ready for an adventure! Join Danielle for her Driftwood Wall Hanging Workshop at Makers Mess! 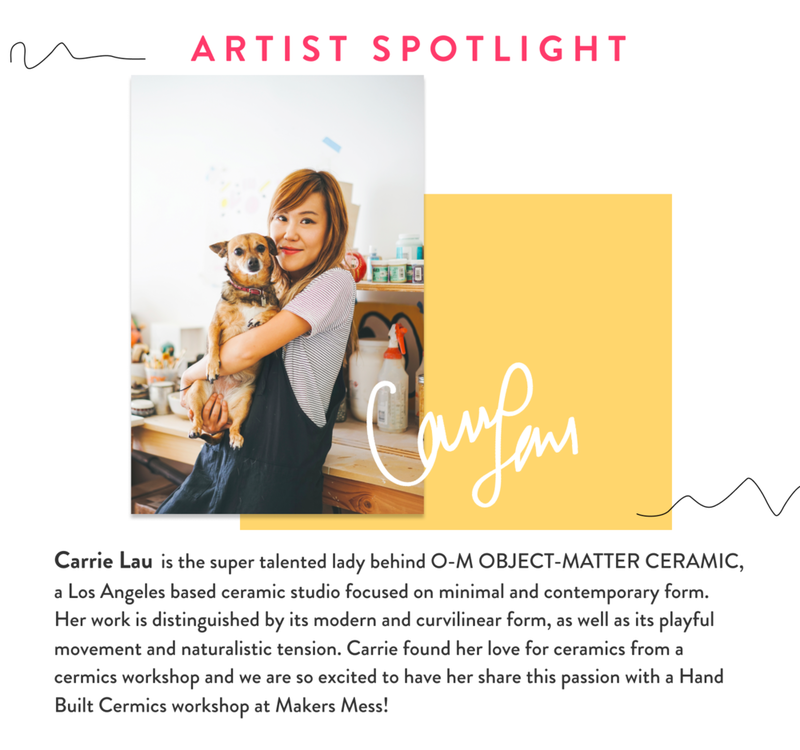 Our artist this week is Carrie Lau! 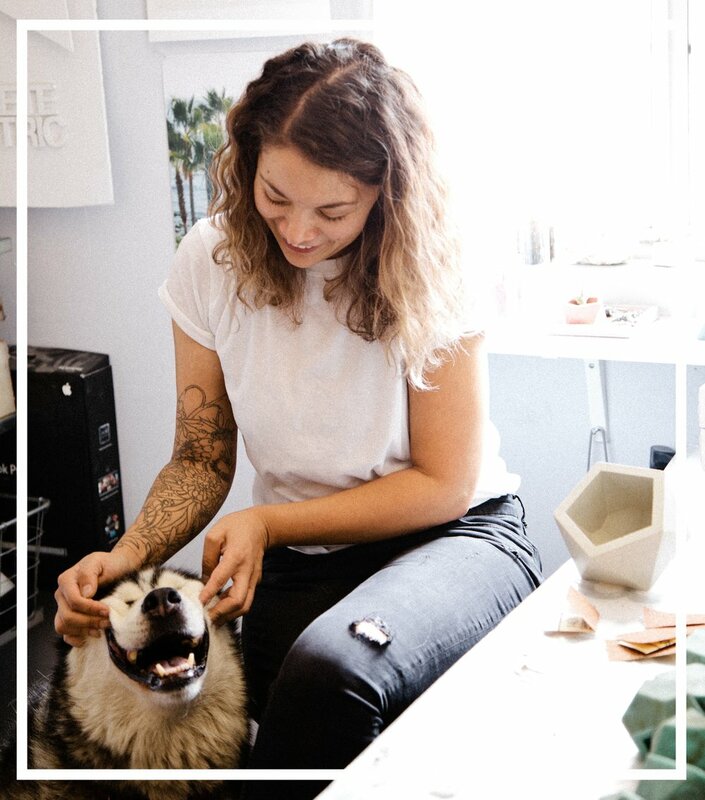 We have been drooling over her amazing ceramics and designs since we set eyes on them and we can not wait to have ehr teaching in the studio this weekend 🙌🏼 Read below for the full interview and make sure to reserve your spot!